I shared a post this time last week on A/W trends and my top picks that are available on the high street at the moment. Browsing all these lovely items online and sharing them on this blog inspired me to take on the trends myself and I combined the 70s and furry trends that seem to be everywhere at the moment. 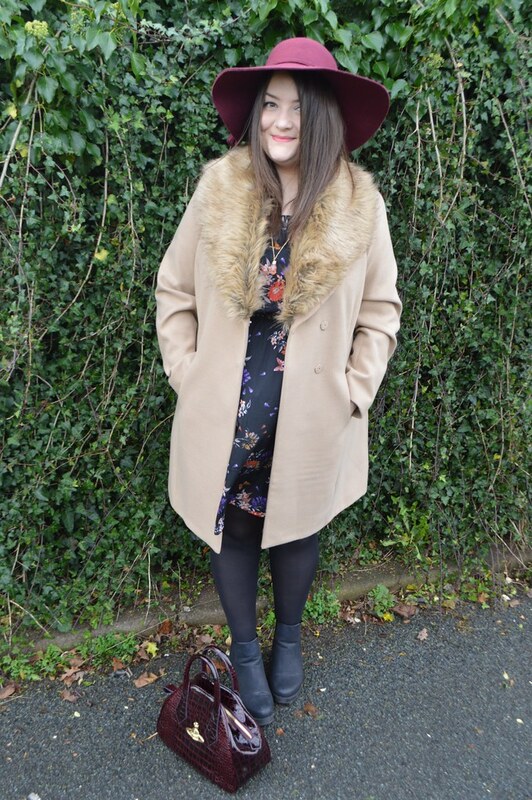 I definitely wasn't going to brave high waisted trousers or a polo neck jumper and suede skirts and boots are no good in South Wales because of all the rain so I chose 70s outerwear for a more subtle and wearable take on this trend. I picked up all of my items from St David's in Cardiff (you can read their blog here) and the majority of them came from the New Look Inspire section. I never wear hats and most of my coats are black, waterproof and very practical so I felt like my 70s outfit was a big departure from my normal style. Despite feeling like I stuck out like a sore thumb walking around Newport I also felt very chic and friends a family complimented my new outfit. What do you think? I've been pretty active on Pinterest recently and created a board with some of my favourite items that fit in with the key fashion trends which you can check out here if you fancy it. There's also lots of homeware pinning going on at the moment because I'm house hunting. Very exciting but also a little draining. Wish me luck! Oh Gem you look absolutely gorgeous! 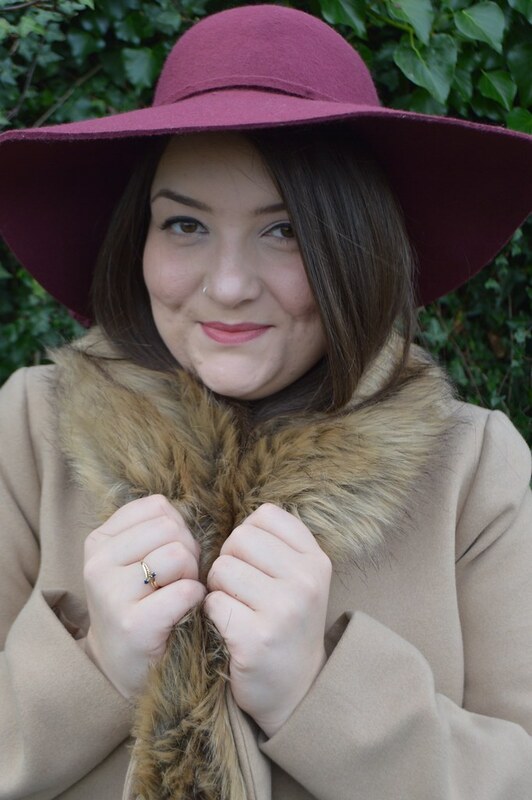 Adore the hat - such a babe! I really love this outfit, so seasonally appropriate. 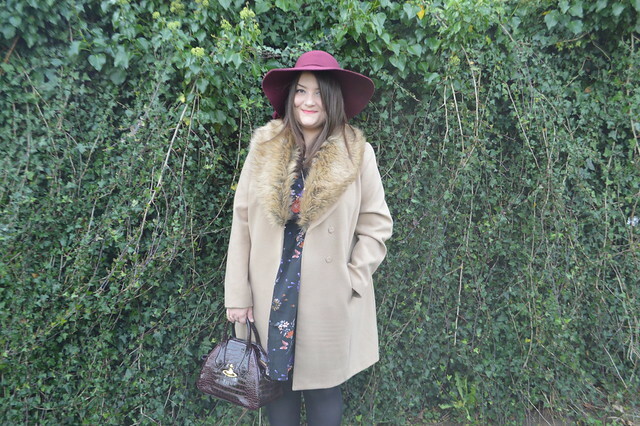 I wouldn't have thought the hat and the coat would work together, but they really do! Definitely very chic and your friends and family were right to compliment you. I adore that coat! I've searching for one like that for weeks. Is it from New Look? The coat is lovely and it looks rather warm. I can't say I blame you for avoiding things like suede skirts and boots, Britain is not an appropriate place for such things during the Winter.